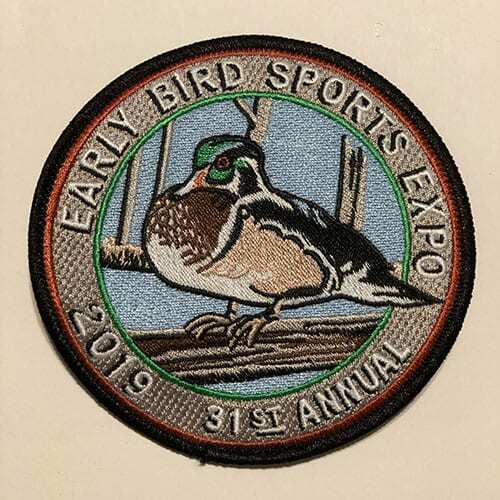 The 31st Annual Early Bird Sports Expo is quickly approaching! The show will take place at the Bloomsburg Fairgrounds on January 24-27, 2019. The doors will open starting on Thursday, Jan 24th at 4 PM. Parking is free. The hours of the show are: Thursday 4 PM – 9 PM, Friday 10 AM – 9 PM, Saturday 10 AM – 8 PM and Sunday 10 AM – 5 PM. The event features over 120 vendors and showcases boats, RVs, ATVs, outfitters, hunting and fishing equipment, kayaks, the area’s finest taxidermy work, artists, sportsmen’s groups and archery suppliers. The PA Hunters Safety Course will be held on Thursday Jan 24th from 6 PM – 9 PM and finishes up on Saturday Jan 27th from 8 AM -11 AM (2 day class; must attend Thursday night). Interested individuals can register on the PA Game Commission website. Space is limited to first 50 people who sign up. Free Parking; Admission Price: $6.50 ($6.00 with coupon); Kids under 12 – Free. Military Personnel: Free with ID. For more details, visit the Early Bird Sports Expo’s website.